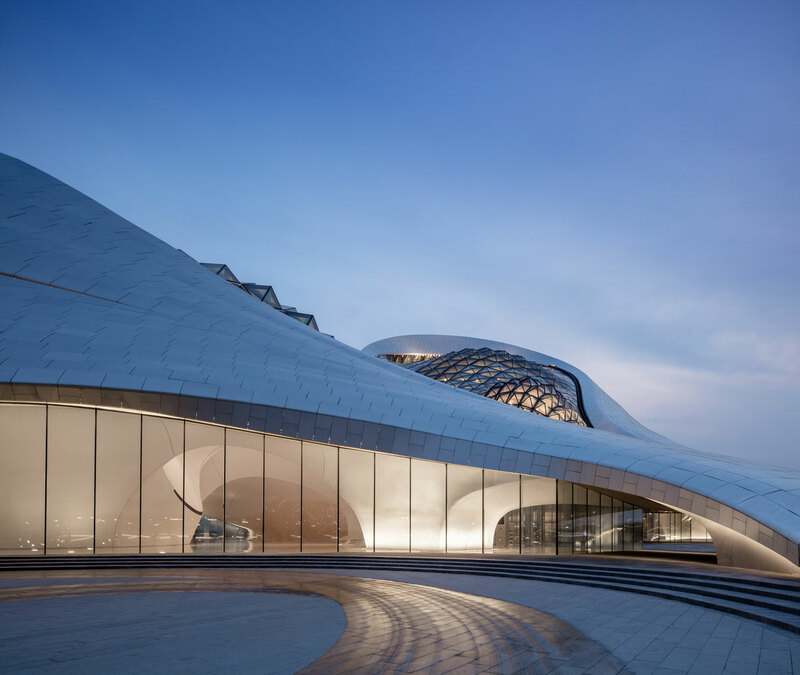 Within a short period of time, the Harbin Grand Theatre in China received two very important awards – the “Building of the Year Award 2016” from ArchDaily and the “WAN Performing Spaces Award 2016”. 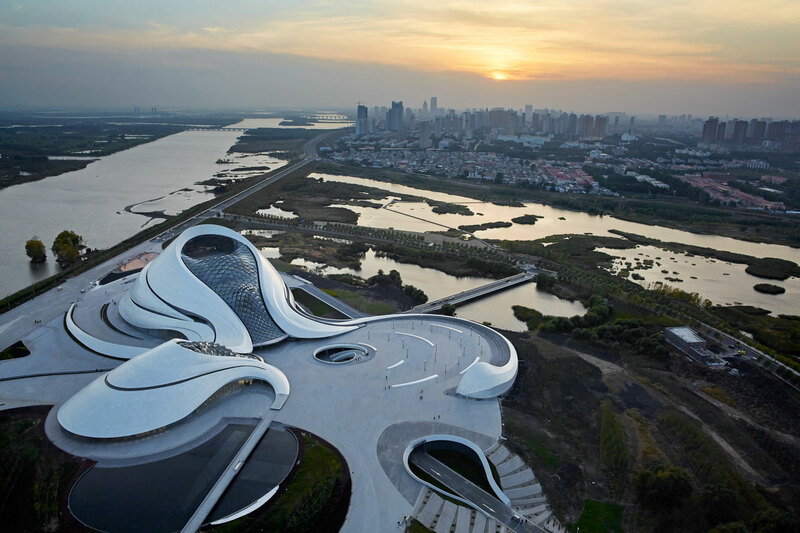 With its outstanding architecture, the Harbin Grand Theatre is the new highlight in the city of Harbin in north China. 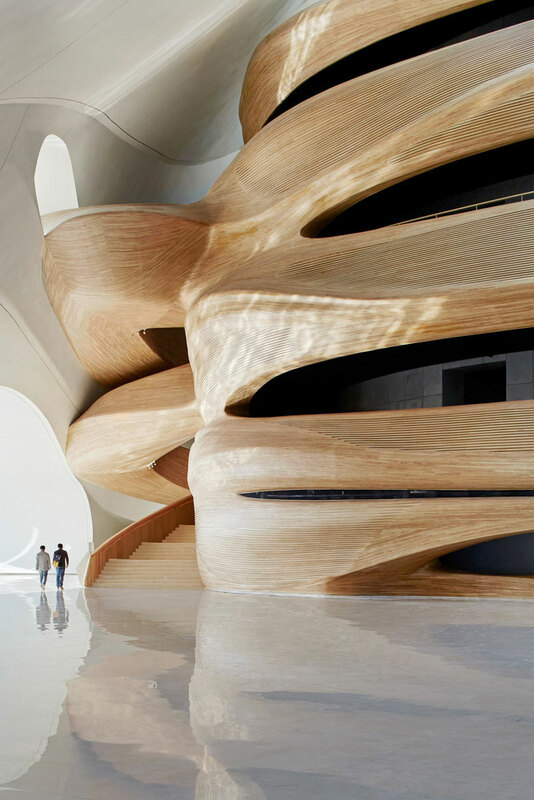 The building, which was designed by MAD Architects from Beijing, was recently chosen from 3,000 projects which emerged in 2015 as Cultural Building of the Year 2015 by 55,000 readers of the prestigious ArchDaily. The concept for the Kling & Freitag sound system in the large hall with 1,600 seats is also something special. Depending on use, a choice can be made here between the line array system K&F SEQUENZA 10 and a sound system with point sources from the K&F ACCESS product range. The entire audio system was implemented redundantly in the signalling transmission in Dante and analogue with new K&F SystemAmps from the PLM+ series. 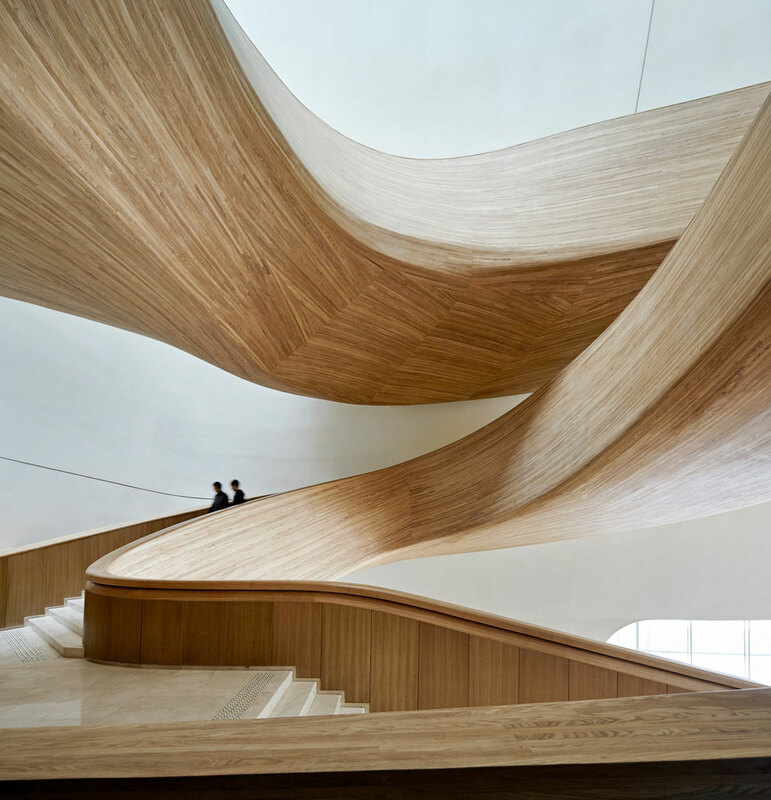 The Harbin Grand Theatre is the only building in China which was honoured with an architecture prize in 2015. 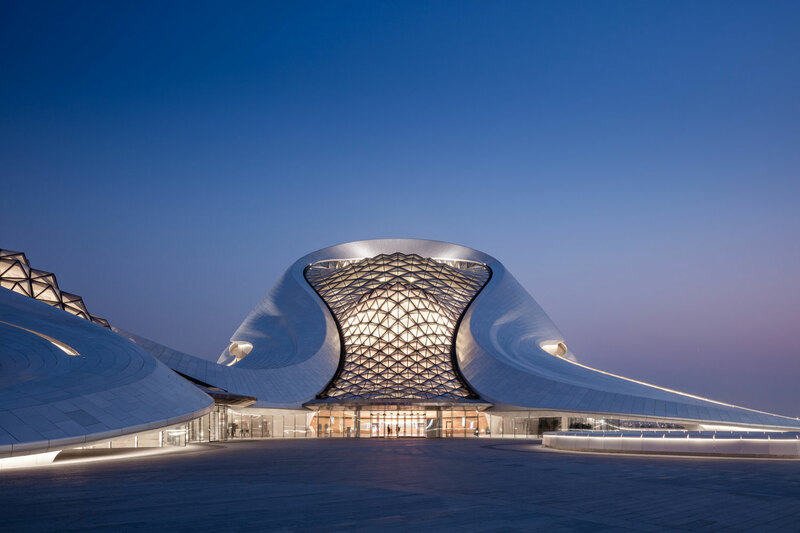 The building complex, which was designed by the architects as ‘Cultural Centre of the Future’, in close connection with the city of Harbin and the prevailing nature, is home to two opera and theatre halls. 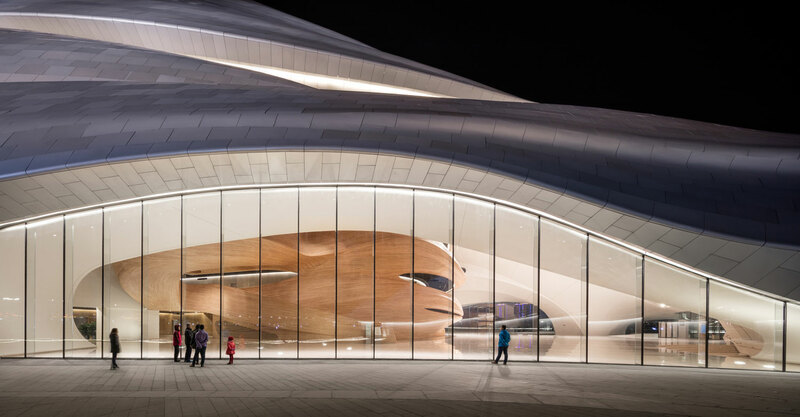 The outer shell of the building consists of specially manufactured aluminium panels on a steel structure, which resembles the four all-around dance bands, as well as freely curved skylights. To permanently withstand the extreme weather conditions in the region, an extremely flexible thermal and weather insulation was created. Only six years passed from design through to completion of the extravagant building with its numerous special solutions – an undoubtedly special performance. 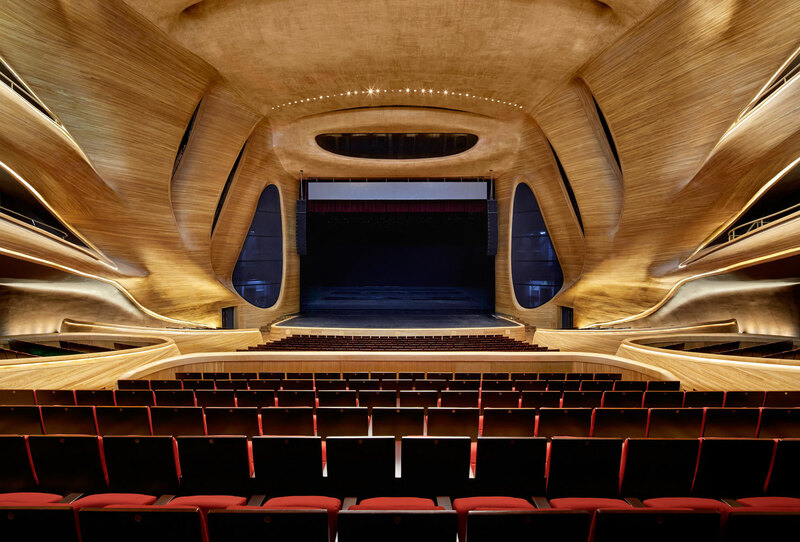 Providing a theatre or opera house with sound using electro-acoustic means is not always desirable, and is even completely rejected in some venues. 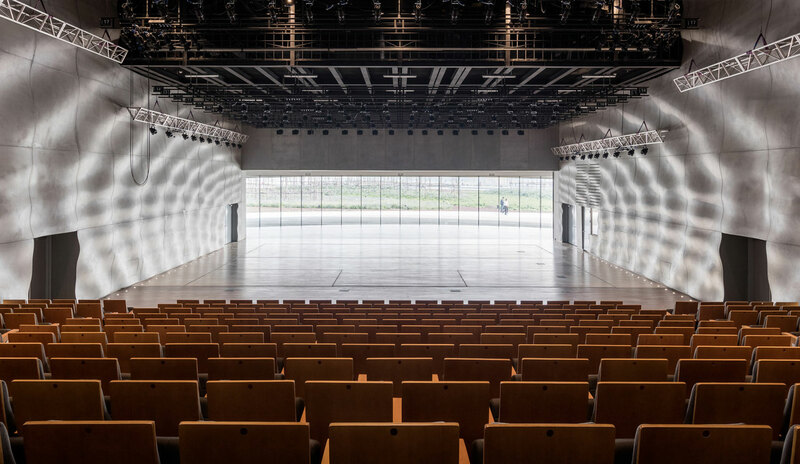 Depending on the performance, the experience of the speaker or actor and also, not least, the architectural space conditions usually provide for good and, especially, natural speech intelligibility in the audience. But the demands on the acoustics are increasingly rising. Therefore, there are also a number of occasions and external circumstances that sometimes make the use of electro-acoustic aids desirable or even essential. With performances of classical, staged spoken or musical theatre, for example, in areas with no suitable room acoustics, in drama productions with a substantial amount of (live) music, you can hardly get by with microphones, amplifiers and speakers. Thus, the size of the room and associated maximum number of audience members in a hall is also very important. Most audience areas are not limited to just one level at floor level. To prevent excessively increasing the distance between the edge of the stage and the audience, the audience is distributed throughout the room. That is, there is also an additional or even several tiers, and possibly also box and balcony seats. In historic theatres, the maximum distance is, therefore, mostly a maximum of 12 to 15 metres, which is, of course, associated with improved visibility and acoustic advantages. 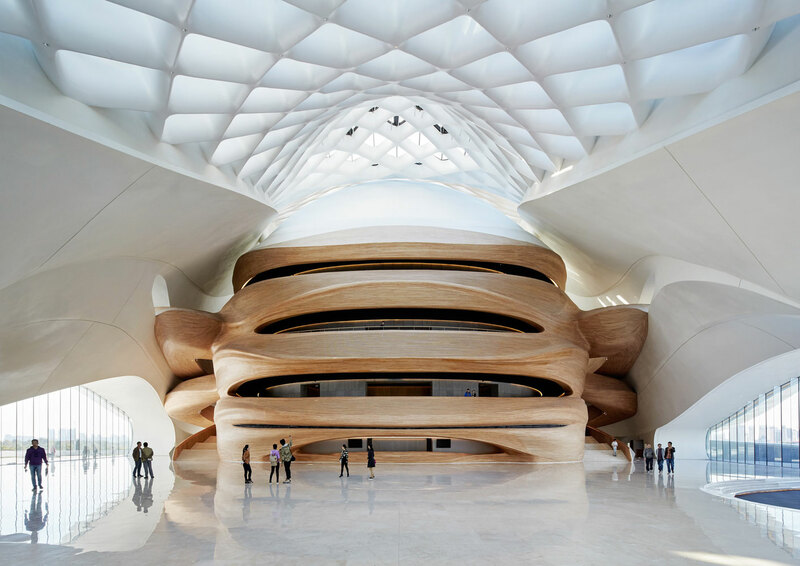 In a new project like the Harbin Grand Theatre, architects and acousticians have a variety options. So even larger line arrays can be included in the plans from the outset, particularly with respect to statics of the building. The main hall of the Grand Theatre has a not insignificant number of 1,600 seats. Thus, the question of whether electro-acoustic support needs to be installed or not answers itself. But the planners of the theatre have implemented something even more special here. There is a choice of two permanently installed speaker systems. The line array system SEQUENZA 10 from premium speaker manufacturer Kling & Freitag from Germany is available with 12 full-range SEQUENZA 10 N elements and two SEQUENZA 10 B subwoofers, each to the right and left of the stage, as a whole area sound system. The K&F Sequenza 10 Line Array System is also used for several 1,000s of listeners at large and open-air concerts, among other things. 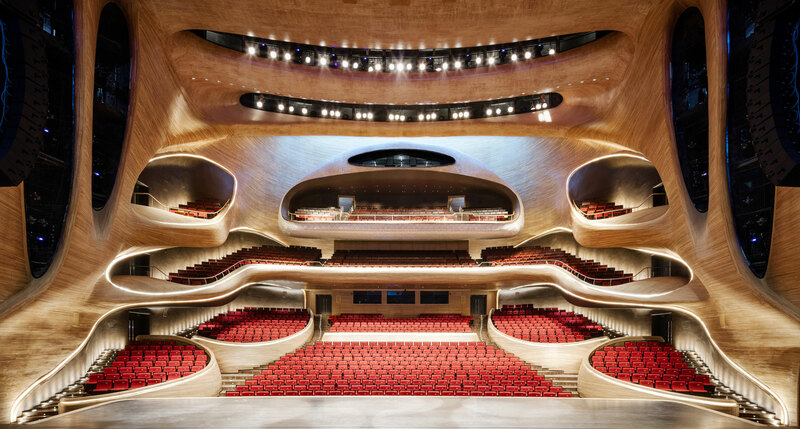 So, even here at the Harbin Theatre, the line array is not only suitable in terms of level, but it more than meets the high requirements in terms of sound and outstanding intelligibility – both loudly and quietly – in an impressive way. “The portable system facilitates rock music, pop music performances, etc. 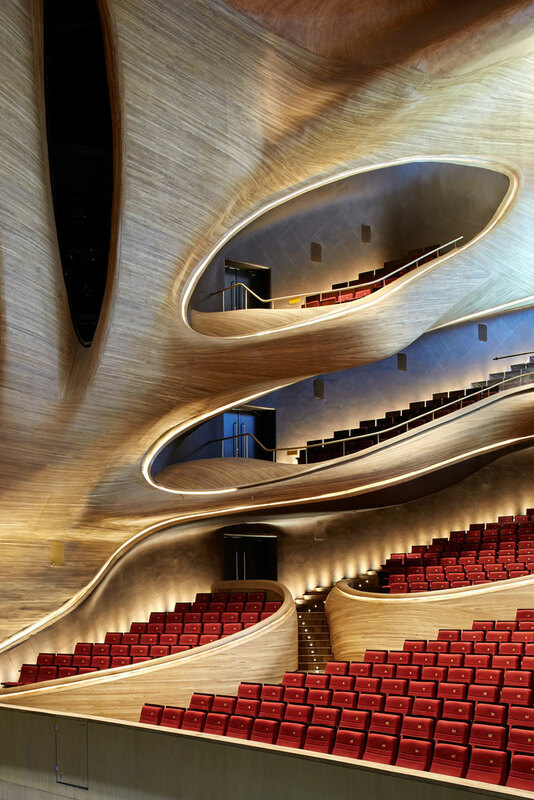 When considering fast installation and sound quality, SEQUENZA 10 is definitely our choice, which has been commonly recognised by operators and sound engineers from performing groups”, said Qin Yi, Deputy Director of the Technical Department at Shanghai MYC, partner of Kling & Freitag, and who was in charge of the installation. Furthermore, the large hall has a surround sound system with sound point sources to choose from. Depending on the performance, the different samples, music pieces, effects and the like can be placed acoustically in the room. Thus, sound point sources from the K&F ACCESS series are used for the left-right-centre sound. Bass support is also provided by six double 18” long excursion chassis subwoofers – the K&F ACCESS B10. “The Harbin Grand Theatre has a very large and complex audio system. 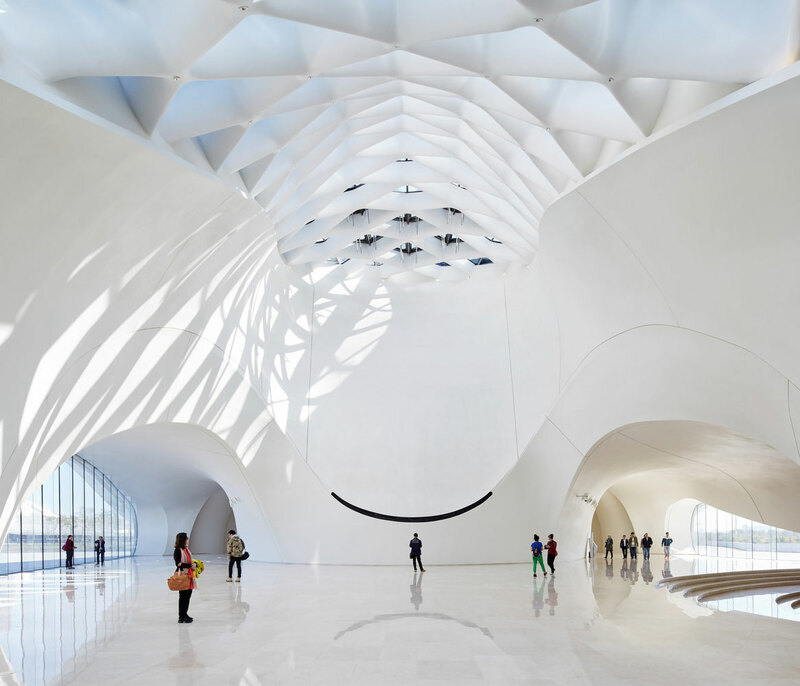 At the very beginning of the design phase, we were confronted with a number of difficulties due to its 3D curved construction wall surfaces and extremely tricky acoustic-architecture. As a result, we need to be even more cautious and scientific when selecting the right speakers. After generally taking every aspect into account, we decided to use the ACCESS series – the most reputed products from K&F, which can control the coverage angle well, while providing sufficient power and clear sound quality. 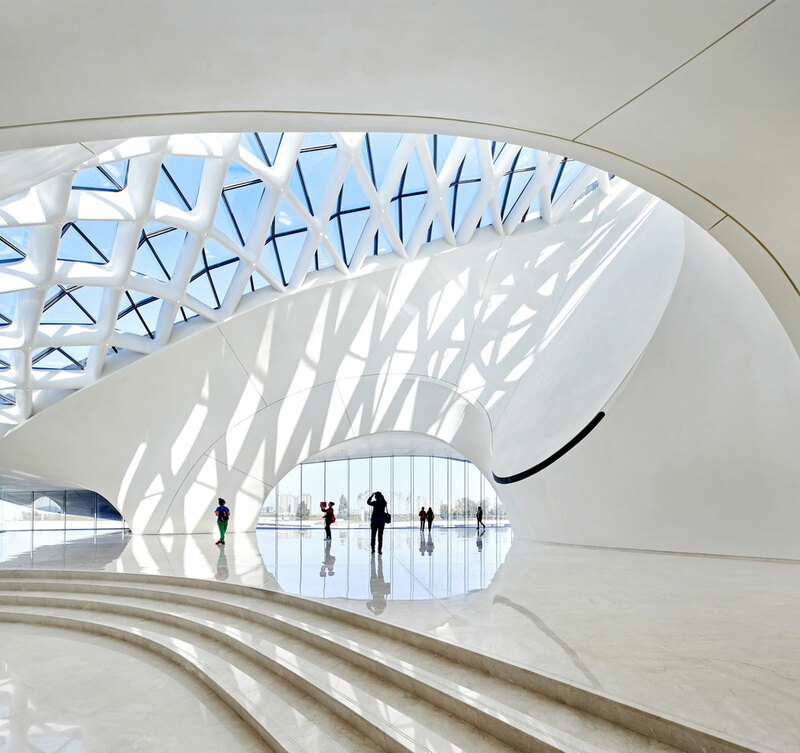 We then get a perfect combination of 3D curved construction wall surfaces and an electro-sound system”, Qin explained. Built mostly concealed, additional K&F speaker systems are available in a variety of sizes for the surround sounds. Starting with the typical installation loudspeakers of Kling & Freitag’s pro.INSTALL series SONA 5” chassis to up to about 70 speakers of internationally renowned K&F CA series. The audio signals coming from the mixer are coupled redundantly via Dante, as well as analogue, to the drive of the systems – around 50 K&F SystemAmps from the PLM Series. This provides a high degree of reliability at all times. In addition, this modern type of signal distribution has many advantages, such as in the area of installation and sound quality. 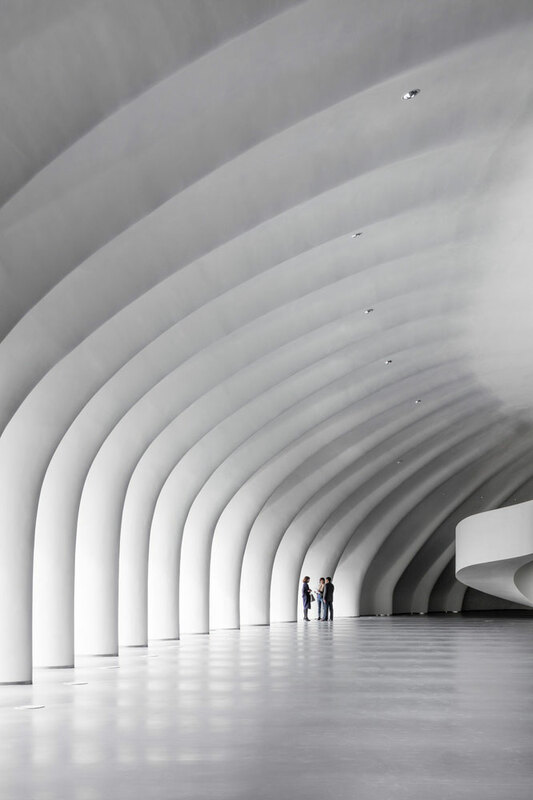 If you use such a perfectly coordinated system of speakers and drives, as they do here at Harbin, you can create worlds of sound in such breathtaking architecture, which is truly unique. “No matter what kind of transmission system you couple with K&F sound systems, you always have a clean, clear and excellent sound”, Qin summed up.